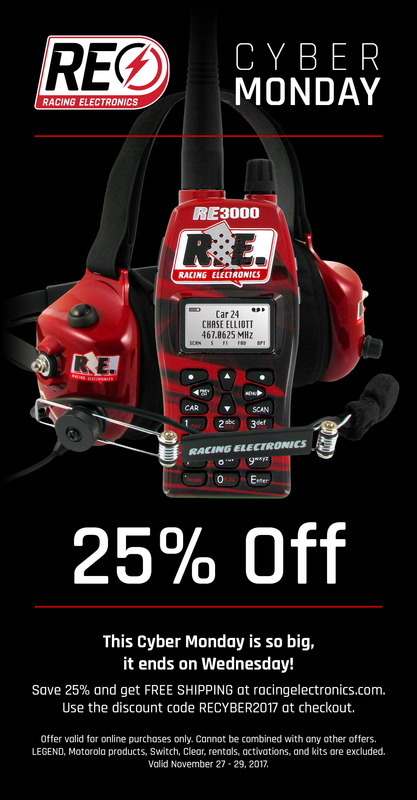 Not tickets but Racing Electronics is having a sale for those maybe in the market for a new scanner or headset. That's a nice deal. Looking forward to a day when Mrs. and I can work a deal like that with no obligations and just head out on a long roadie and have some fun seeing tracks like that. Type in 2018REWARDS to enter the site. I just received this one. Actually I think that It's a good business move. Bring in more customers, more bang for the buck. Should of been doing this right along, hopefully it attracts more fans. Most of the tracks have been doing this kind of thing for several years now and some have always done it. But most only do it by email. That's why @dpkimmel2001 started this thread. True enough. Yes that was the reason for this thread. Tracks have been offering specials as long as I've been going to races. Even if they don't offer you, as a ticket buyer, some kind of special. Don't be afraid to ask for something a little extra. You're liable to get it. I've gotten plenty of extras from tracks by simply asking when I've renewed or purchased new tickets. Tracks love new butts in the seats. They love repeat butts in the seats. Nothing wrong with offering a special IMO. Just got another one. These are some good deals, especially the 50% off one. Happy New Year, and welcome to the January edition of the Monster Mile Insider! Read below for some of the best deals available for our May 4-6 and Oct. 5-7 NASCAR tripleheader weekends. Remember to order this month to take advantage of lowest 2018 prices! Act by Jan. 31 to save almost 50 percent on individual tickets and packages! Enter the driver’s meeting and enjoy a pit road and garage pass before the Monster Energy NASCAR Cup Series races. 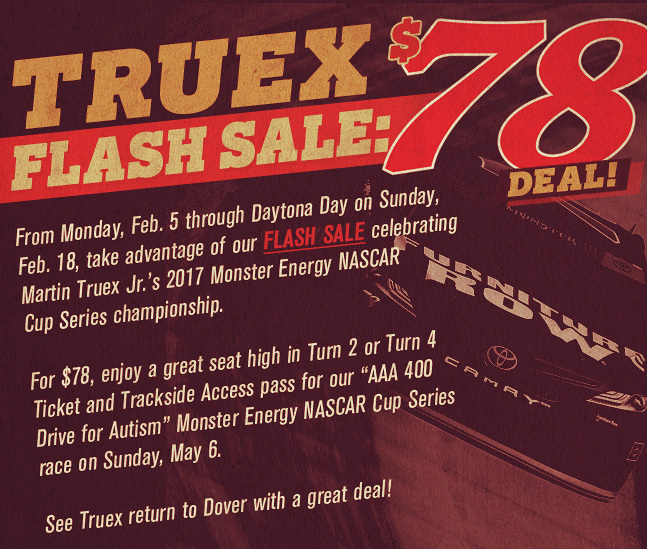 Save up to $40 before Jan. 31 on two Sunday tickets, two Trackside Access passes and a parking pass. Upgrade your camping experience in 2018. Includes a Cold Pit Pass, BBQ grills, and shower access. Save $200 compared to area hotels. Watch Sunday races from our backstretch restaurant, including breakfast, lunch, drink options and free parking! Another one. The hits just keep on coming. 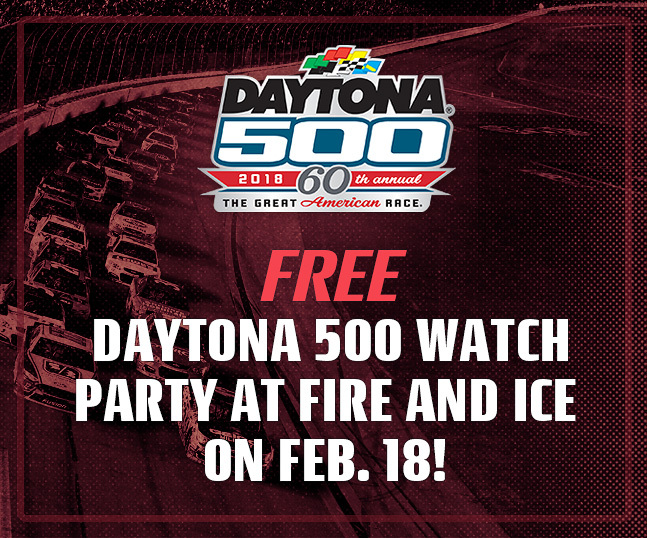 Visit Dover Downs Hotel & Casino’s Fire & Ice lounge on Sunday, Feb. 18 for the Daytona 500 Watch Party as the Monster Mile celebrates the beginning of the Monster Energy NASCAR Cup Series season. Doors open at 1 p.m., with the green flag scheduled for 2:30 p.m. All are welcome for this FREE event. The broadcast will be shown on Fire & Ice’s 20-foot high-definition movie projector screen in the lounge behind the bar. Come enjoy prize drawings and giveaways, games and more. Food and Anheuser-Busch drink specials will be available! Watch the Great American Race at the Monster Mile on Sunday, Feb. 18! You can tell the racing season is getting close by the tracks emails with special offers. CMS basically copying the Daytona pass, or others like Homestead. Seems a bit pricey! The biggest thing to me is the "kids 13 and under are free". That means a lot to parents. Dale Jr. is back at DAYTONA to serve as the Grand Marshal for the 60th running of "The Great American Race" on Sunday, February 18. Before he delivers the most famous words in motorsports, the two-time DAYTONA 500 champion will host an exclusive Q&A session for Dale Jr. ticket package-holders on Sat., February 17 - prior to the PowerShares QQQ 300. Bristol has a new one, but it still doesn't go far enough. Not far enough? Well, I guess they could just hand them out for free. That would be better. It's just in one section, but that is a good deal. My complaints about Bristol is their tickets are overpriced. Instead of lowering all tickets, they have discounted tickets in a few pockets here and there. It's that time of the year. Email after email. Whether you already have something for your Valentine or not, we think you should check out our specially-priced 2018 Valentine's Day ticket offers! 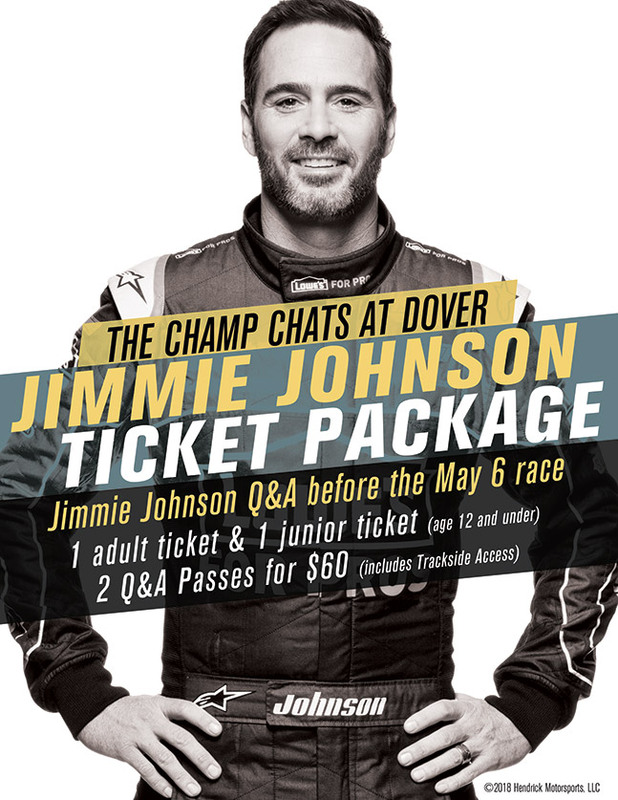 Packages are available for your choice of either the Pocono 400, Overton's 400 or ABC Supply 500 . Another one. This is a really good deal. Click here for race ticket information, including our Preferred Pricing Chart. See below for package and camping price information. See general camping info here. Another email and another really good deal. I heard that's his home track. Visit Dover Downs Hotel & Casino’s Fire & Ice lounge on Sunday, Feb. 18 for the Daytona 500 Watch Party as the Monster Mile marks the start of the Monster Energy NASCAR Cup Series season. Prize drawings, giveaways, games, food and Anheuser-Busch drink specials will be available! Kentucky has been calling me recently. I just haven't answered...lol. Barring some unforeseen circumstance I'll be returning for my 3rd straight year and my ticket will be $59 regardless of when I order. I tossed around jumping on the Bristol Night Race deal that ended recently. Cole Swindell Headlines the Monster Energy NASCAR All-Star Race Concert! Get ready to rock and roll with Cole! Platinum-selling singer and songwriter Cole Swindell lights up the biggest all-star event in sports with a thrilling All-Star Race Concert presented by Rayovac Batteries, Kwikset, George Foreman and National Hardware. The concert is FREE with any All-Star Race ticket, so get yours now to NASCAR's fender-banging, no-holds-barred superstar slugfest and enjoy a rocking Cole Swindell concert prior to the green flag! Pocono Raceway will become the first motorsports facility in North America to house an inclusive playground in their infield. The playground will be designed for children of all ages and abilities to learn, grown and play together. Once built, the nearly 5,000 square foot playground will be recognized as a National Demonstration Site, making it one of top 100 inclusive playgrounds in the country. The playground will be another amenity available to race weekend camping and Infield Block Party guests. It will also be open to local residents and track visitors to use throughout the spring, summer and fall months free of charge. Our 300 Level offers one of the best views of 'The Tricky Triangle.' This level is shaded, includes a Pit/Paddock Pass and other amenities such as same-level concessions and restrooms. 300 Level seats are located in either the Donohue or Petty Tower and are available NOW! One lucky race fan will be randomly selected to win tickets to all our 2018 NASCAR events. Will it be you? Note: No purchase necessary. Contest ends prior to the scheduled start of the 2018 Daytona 500 at 2 p.m. ET on Sunday, February 18, 2017. Certain terms and conditions may apply. Please click here for official rules. We interview some of the top NASCAR and INDYCAR drivers. They share their stories about starting out in racing, activities they participate in when they're not on the track and comical stories about other drivers. On this episode we talk to our CEO, Nick Igdalsky about his humble beginning at the track, his family's involvment, and his own racing career. Oh happy day's kybu is pulling a tripleheader at Las Vegas. This is a helluva good deal. 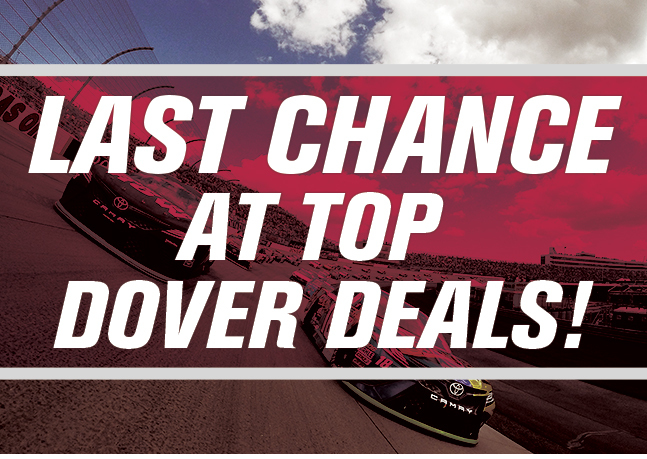 Our Best NASCAR Offer is Back! This is it! The 60th annual Daytona 500 and the official start of the 2018 Monster Energy NASCAR Cup Series season is here. To get you geared up for race season, we’ve brought back our popular limited-time offer for the Toyota/Save Mart 350, June 22-24! Add kids tickets for just $10 each! Don’t delay! This offer ends on Sunday, February 18th. Ticketing representatives will be awaiting your call at (800) 870-7223, or you can buy it right now by clicking the button below. 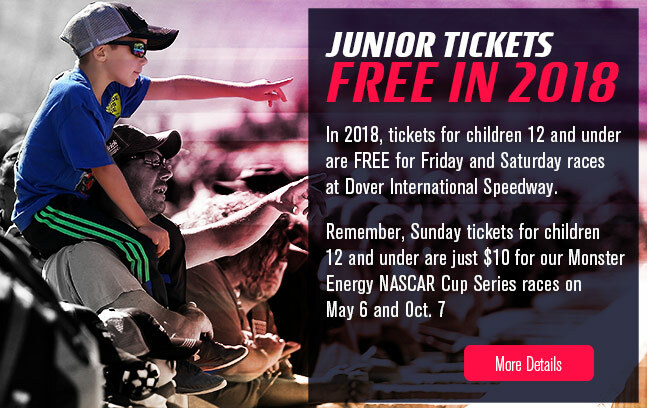 If you've already purchased your tickets from the speedway and didn't get the free 2-hour access passes, call them and tell them you want them. I've done it several times and have always received them. You shouldn't be penalized for purchasing your tickets early. Trust me, you'll like the access it gives you before the race.